If you read our posts on Mini Weapons of Mass Destruction, you've most likely started some kind of office warfare that's still going. 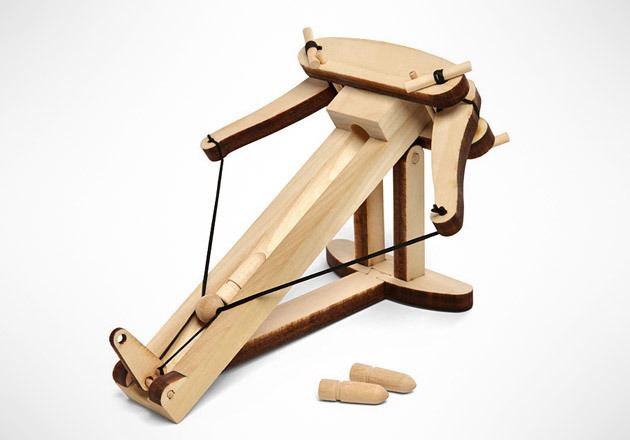 The Desktop Wooden Ballista Kit ($25) will not be the deciding factor on who will come out the victor, but it can't hurt to add it to your arsenal. Each Wooden Ballista Kit is laser cut for easy assembly and dependable performance so you've already got an advantage over the jury-rigged weapons. And since it comes with wooden ammo, there's no need to load it with spitballs.